What Are These 200 Posts Doing Round The Outskirts Of London? Will Noble What Are These 200 Posts Doing Round The Outskirts Of London? 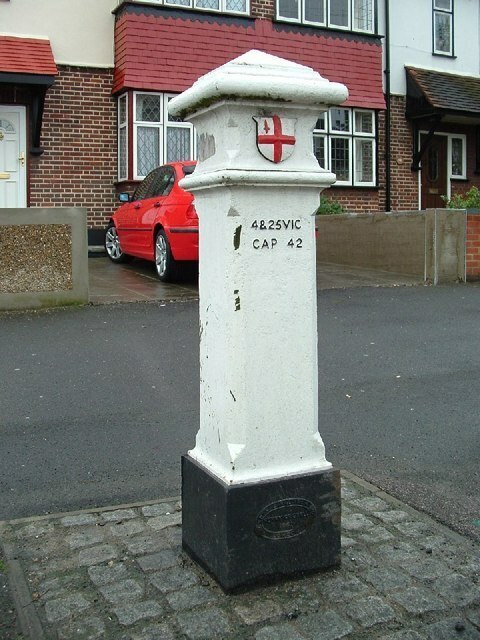 This cast iron post, slathered in white paint, appears to bear a City of London Corporation insignia. Indeed it does; so what's it doing in a hedge in Moor Park, almost 20 miles from the dragons patrolling the City boundaries? It's a coal duty post — a caveat to those coming into London with the commodity, that tax was due. 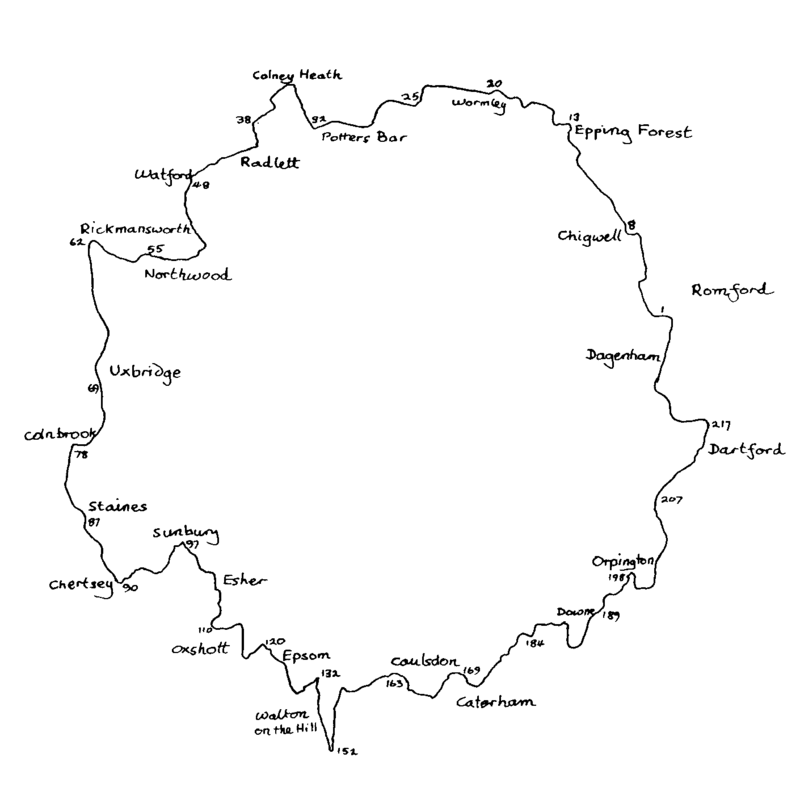 There are around 200 coal posts encircling London and the contiguous counties — seemingly random when you chance upon one, yet forming a huge mushroom ring from above. Coal is synonymous with Victorian homes and factories, coating London in a blanket of fug, and earning it the nickname Big Smoke. In fact, coal — or seacoal as it was commonly called — was being used by the Romans, and taxed by London since medieval times. It was, somewhat ironically, The Great Fire of London which spurred a new era of coal taxes. The revenue gained helped rebuild the likes of St Paul's Cathedral, not to mention 51 other churches [pdf] that had been razed. London's politicians began to relish that coal could fund building this way; more and more coal (and wine) taxes were heaped on those coming in; more and more structures were built with the tax money — Blackfriars Bridge, Holborn Viaduct... even a new Coal Exchange. 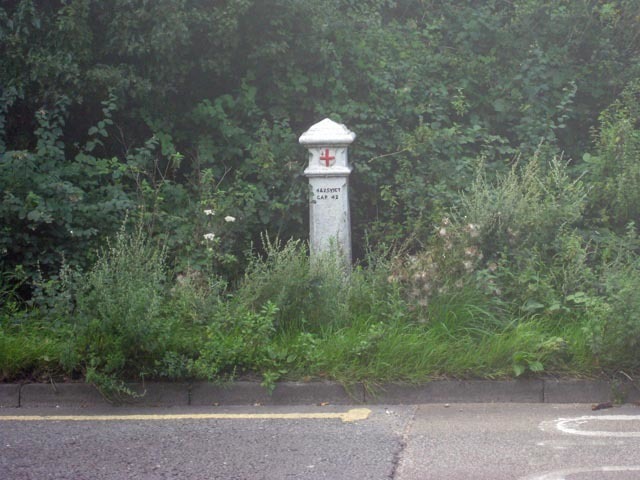 Of course, many of the locations where you find coal posts today — such as Dagenham, Uxbridge and Orpington — weren't in London at the time, only sucked into the loop in 1965. 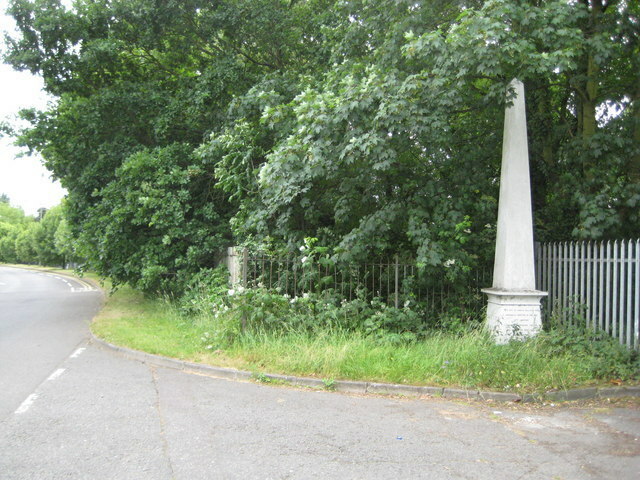 Coal duty was abolished in London in 1889, with many local authorities letting the coal posts stand, and, decades later, making sure they were kept in a decent state. Next time you're taking on stroll on the fringes of your beloved city, look out for the posts, plaques and obelisks which helped to build it. Find out more about coal posts on the highly informative Coal Duty Posts.